Pictek Food Grinder Just $14.99! Down From $40! 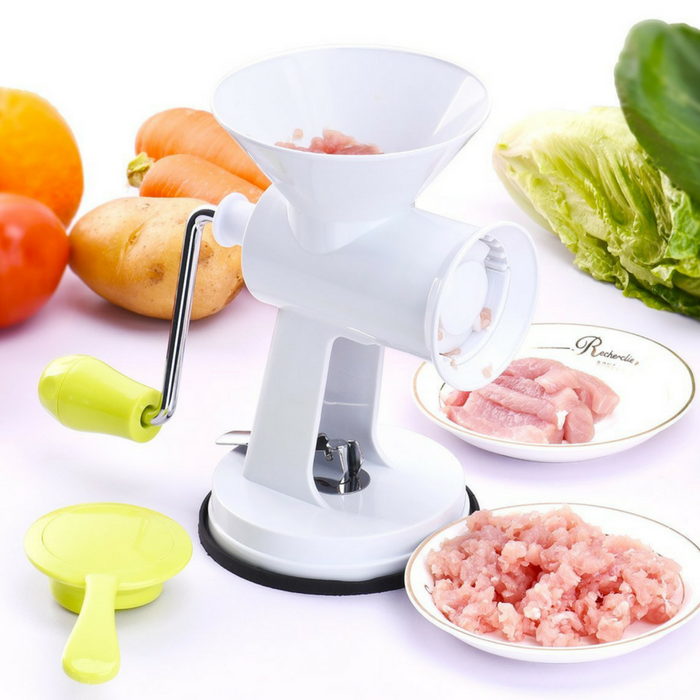 You are here: Home / Great Deals / Pictek Food Grinder Just $14.99! Down From $40! This is a great addition to your kitchen tool collection! Amazon has this Pictek Food Grinder on sale for just $14.99 down from $39.99 when you use promo code 2YYSVE7P at checkout! It’s FREE shipping with Amazon Prime or for orders over $25! Spark your creative imagination! Make a healthy, fresh and delicious dishes for your family and friends! This grinder has fine sharp blades which easily grinds meat, vegetables, beans or garlic! It’s easy to use and clean! Nice! An Essential Part for Kitchen: Spark your creative imagination, DIY healthy fresh and delicious dishes for your family and friends. The tool can quickly & easily grind meat, vegetables, beans or garlic. Enjoy your cooking time in kitchen with a easier and faster way! Premium Quality: Made of food safe material. Stainless steel handle and fine sharp blades, can smoothly mince your vegetables/meat without annoying stops. A handheld upper cup to help prevent food splash when swirling, also used to push down meat and vegetables for easy grinding. Strong Sturdy Suction Cup: Strong suction base keeps unit firmly in place on smooth, non-porous surfaces. Easy to Use & Clean: No special skills needed, just swirling the handle with meat or vegetables in the funnel cup. Simple Structure comes apart easily so all of the parts can be throughly cleaned very soon.